On Thursday, the British media uncritically regurgitated Press Association reports that police had “identified the suspected perpetrators of the novichok” attacks in Salisbury. In March, former Russian spy and British double agent Sergei Skripal and his daughter Yulia were taken apparently gravely ill, allegedly poisoned with the nerve agent in Salisbury. Both made a full recovery, but in June, Dawn Sturgess and her partner Charlie Rowley were struck down, supposedly by the same agent. Rowley lived in Salisbury and Sturgess in Amesbury, just eight miles north of Salisbury. Sturgess died on July 8. An inquest into her death opened and was adjourned, also on Thursday, until January 2019. No evidence was released to back up the claims, which were not officially endorsed by police. Nonetheless, they were uncritically recycled and amplified by the press. The Mail, for example, claimed officers believe that “a team of Russian assassins” were sent to the UK, and that the “kill team” was “recorded on CCTV as they carried out their mission.” The team had “up to six” members. Why this information should only have just recently come to light, fully four months after the alleged fourth attack by “novichok,” was not explained. Not a word emanating from the US and British authorities and media can be taken at face value. Yet again, none of the claims are substantiated or even make sense. Each new supposed disclosure only serves to contradict previous claims. Sturgess and Rowley fell ill June 29 having apparently come into contact with a substance that caused them to suffer symptoms similar to those of Sergei and Yulia Skripal. Sturgess died some days later. Rowley is reported to have regained consciousness and has spoken to his brother. No evidence has been presented publicly to allow independent verification of the claim that the pair fell ill due to exposure to the same substance as the Skripals. Neither has evidence been offered to suggest that either attack in fact involved the “novichok” nerve agent, allegedly one of the most dangerous ever manufactured. However, if indeed the attack on Sturgess and Rowley was related in some, even accidental, way to the attack on the Skripals, it raises more questions than it answers. 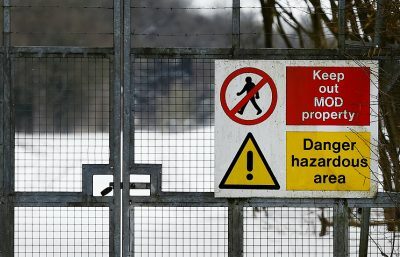 Charlie Rowley told his brother that he had picked up a “perfume bottle” before falling ill. A small bottle was found in Rowley’s house, one of hundreds of items and vehicles seized and transported to the nearby British government chemical weapons research facility at Porton Down. Rowley apparently stated that Sturgess sprayed some of the bottle’s contents on herself, believing it to be perfume. According to the Telegraph, investigators are now considering the possibility that the bottle was found by Sturgess and Rowley in a Salisbury park or around the city centre. But in the case of the Skripals, the official narrative went through several mutations as to how the poison had been delivered—from involving flowers at a grave, a car’s air-conditioning system, food, items in Sergei Skripal’s house, before finally settling on a “gloopy” substance smeared on the door handle at Skripal’s house. How it remained in place despite inclement weather and why the Skripals were able to go about their business apparently unaffected for hours before both falling ill simultaneously—despite the difference in age and weight—has never been explained. Likewise, the gel-like substance as a means of infection has now become a spray perfume bottle. No evidence has been made available on the perfume bottle—the brand, possible date of purchase, possible vendors in the Salisbury area. No explanation has been offered of why the attackers would discard the bottle in a public area. How it lay undiscovered for months, despite a virtual lockdown in the area, is similarly passed over in silence. Why, having lain around in all manner of weather for so long, it proved more potent the second time around—again nothing. In a related absurdity, police only this week began a fingertip search of the Queen Elizabeth Gardens in Salisbury, which Rowley and Sturgess were known to have visited shortly before they fell ill. Queen Elizabeth Gardens is only five minutes’ walk from the park bench where the Skripals were found comatose months earlier. The fact that this elementary search had not apparently been carried out after the Skripal attack, let alone the more recent poisoning, is consistent with the authorities seeking to prevent, rather than prosecute, a serious investigation of both attacks. It cannot be ruled out that Sergei Skripal was indeed a target and his daughter, Sturgess and Rowley the unfortunate “collateral damage.” But the haste yet again to blame the Kremlin and Putin in particular only heightens the suspect character of the official narrative. Both the bottle’s discovery and the apparent identification of Russian agents coincide with the explosion of the ferocious right-wing faction fight within the US into charges of treason against a sitting president, with all this entails. Last Friday saw the announcement of a US grand jury indictment charging 12 Russians, alleged officers in the GRU, the intelligence arm of Russia’s military, with hacking and leaking Democratic Party emails during Hillary Clinton’s 2016 presidential campaign. The charges were brought by special counsel Robert Mueller as part of his probe into Russian “meddling” in the US election. The anti-Russian propaganda reached fever pitch with the meeting Monday between US President Donald Trump and Putin in Helsinki, that saw Trump denounced by sections of the military/intelligence apparatus and the Democratic Party as a “traitor” and Kremlin stooge. At root, the raging disputes within the American ruling class revolve around foreign policy and the extent to which military efforts should be directed primarily against Russia. It would be foolish to believe that sections of the British intelligence and political establishment do not have a dog in this fight. In May, it was reported by former British diplomat Craig Murray that a D-notice (Defence and Security Media Advisory Notice) had been issued by the British government regarding the Skripal case. He suggested this was to protect Pablo Miller, an associate of former British intelligence officer Christopher Steele. Miller, also a spy, had apparently been involved in recruiting Sergei Skripal as a double agent in the 1990s. In 2016, Steele put together the notorious Trump-Russia dossier, commissioned by the Democratic Party in the US, alleging that the Putin regime had accumulated information on sexual misconduct by Trump for blackmail purposes. Steele was the subject of an earlier D-notice, which attempted, and failed, to hide his identity as the dossier’s author. Murray speculated that Miller, a former spy, resident in Salisbury, and known to keep in contact with Skripal, could well have been involved, along with Skripal himself, with the deeply dubious Trump-Russia dossier. Featured image is from Tass.